At last the wait has finished for the Indian fans of iPhones as iTunes stores are launched in India with other 52 countries. 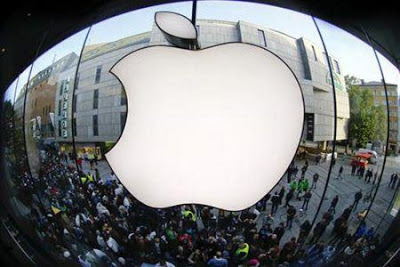 All iPhone users of India were waiting for the launch of iTune stores as this way through which proud owners of Apple devices can download or listen to music or video in a legal way. According to the official announcement made by the Apple, presently the iTune will offer list of around 20 million songs from which user can purchase any number of songs as per his / her choice. From a long time people of different countries were waiting for this service to be launched in their respective country. According to the official release the prices of the songs will range from Rs 7 to Rs 12 per song which will have latest Bollywood albums and the whole album will cost from Rs 70 to Rs120 depending on the demand and popularity of the album. 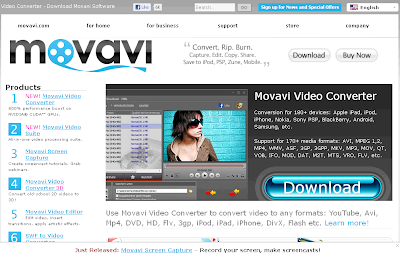 There are many options available in iTune like you can rent and download a movie, the cost of movie differs as per the version selected by the user, like high definition version will cost somewhere around Rs 490 and same movie in standard version will cost around Rs. 290. If user does not want to pay that much price then the same movie can be rented for Rs 120 for High definition version and Rs 8- for standard version. This is really a good thing but if you look at the present Indian market where lot of websites are offering latest bollywood songs for free of cost, one might feel that iTunes will not get the response what they are used to get in other countries. It is true that the digital music industry is growing and the revenue share is increasing but, when you have plenty of sites or blogs that offers you latest songs free of cost then why one will go to buy it. However, the iPhones users have welcomed the launch of iTunes warmly. 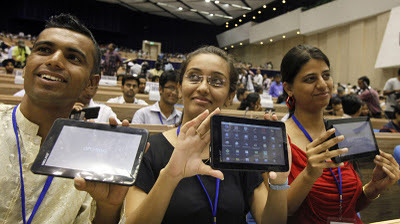 Apple need to think innovative ideas to lure its customer on this new platform and make it a hit in the country. If thought in other way this may be just the start of a revolution, because competitors like Microsoft will not sit quite and let Apple grab the market so easily and we can definitely witness the music service of Microsoft launching soon. 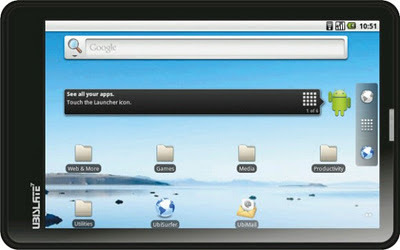 It has already around 30 million tracks and it will have some more alluring features by next year. So, that also will be nice when we have competition, we will get good service at better price. Presently the only competitor of Apple iTune is Nokia Music store, which is presently offering around 5 millions songs to its user and it is also offering the service to Flipkart digital music store. If the sources are to be believed, then Nokia music store is getting over a million downloads per day on its music store. This should be good news for the Apple Company and like Nokia did, Apple should plan something like exclusive release of audio albums on their platforms. Recently Nokia had done same thing with Priyanka Chopra’s debut album, it was exclusively released on Nokia Music Store and this is the right way of grabbing the market share. 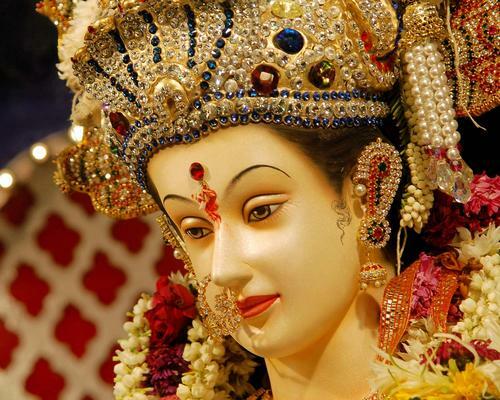 Does Maa Durga Really Visits Native Home During Navratri? This is Strongly believed that Maa durga visits her father’s place in Navratri. Every year Goddess Durga comes to her parents’ home along with her four children Ganesh, Saraswati, Lakshmi and Kartik, who represent Wisdom, Knowledge, Prosperity and Beauty. Since this much awaited visit by the full family takes place once a year, hence this event is associated with so much festivity and celebration. 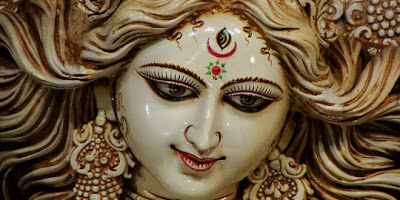 Durga Puja is a celebration of the Mother Goddess, and the victory of the honored warrior Goddess Durga over the evil buffalo evil spirit Mahishasura , celebrated nine nights called auspicious Navratri. During Navratri the devotees worship Maa Durga, Maa Lakshami ad Maa Sarashwati three days each. The most significant day is the 10th day which is celebrated as Vijayadashami, the victory day, which is also celebrated as Dashehara, the conquest day of Lord Shree Ram Chandra and the honored warrior Lord Shree Ram Chandra over the demon Ravan, the evil-spirit and which is mostly celebrated in the Northern India. Every year during the lunar month of Ashwin or Kartik (September-October), Hindus observe ten days of ceremonies, rituals, fasts and feasts in honor of the supreme mother goddess. It begins with the fast of “Navaratri”, and ends with the festivities of “Dusshera” and “Vijayadashami. On 15 August 1947, India attained freedom from the British Rule. Every year, August 15 is celebrated as the independence day in India. This national festival is celebrated with great enthusiasm all over the country. The Independence Day of any country is a moment of pride and glory. On this special occasion, rich tributes are paid to the freedom fighters who sacrificed their lives and fought to free their motherland from the clutches of the oppressors - British who ruled the country. The British, had initially come for trade but gradually took over the total administration of the country. Commemorating the day India attained freedom (15th August); Independence Day is celebrated with flag hoisting ceremonies and cultural programmes all over the country. The main program is held at the Red Fort where the Prime Minster unfurls the National Flag and it is saluted by Guns. The Prime Minister's speech at the Red Fort in Delhi is a major highlight. Patriotic presentations by school children add colors to the celebrations. Delhi’s skyline gets dotted with thousands of kites taking to the sky this day. Similar programmes are held at all the State capitals also. The preparations begin a month in advance. Roads are decorated with flags and buntings. Buildings of national importance are illuminated. At the stroke of midnight, as India moved into August 15, 1947,Jawaharlal Nehru , India's first Prime Minister, read out the famous speech proclaiming India's independence. The moment ended three centuries of British colonial rule. The land was no longer the summer retreat of British sahibs who fancied spices, shikar, elephants and snake-charmers. Independence was also the end of nearly a century of struggle for freedom, battles, betrayals and sacrifices. It also created a situation where we were responsible for ourselves. But it wasn't a period of unqualified joy. For a lot of people, in spite of a new era promised byindependence, partition was a painful reality and so was the bloodshed that accompanied it. That was 60 years ago. Much has changed; the struggle for freedom lives on in history books and memoirs, and on the tombstones of valiant martyrs. Politics has undergone a personality change from fiery idealism to a pragmatic cynicism. Karma drives the nation on its way forward, and population has crossed the billion mark. But, come August 15, and the people put their troubles behind them for a while, as they stand up as a nation for the National Anthem. Along with the soaring cadences of the anthem, the hopes and dreams for a better tomorrow are renewed in political speeches and replays of the deeds of those who earned us our freedom. Independence Day is an occasion to rejoice in our freedom and to pay collective homage to all those people who sacrificed their lives to the cause. But it is more than that. It also marks the coming together of more than 400 princely states into one nation - India. This was probably our biggest diplomatic success. Each year, August 15 gives us the reason to celebrate all this, and do much more - it is a time to contemplate what we have and how we achieved it. Though India had no dearth of religious and community festivals, there was, tillIndependence, no true national festival that the whole country could partake of.Independence Day, beginning as a day to commemorate the greatest moment in Indian history, has now come to signify a feeling of nationalism, solidarity and celebration. Independence Day remained the sole national festival till India declared itself a republic in 1950. On January 26, 1950, Republic Day became the second Indian national holiday. In June 1947, Muslim League and the Congress Party decided to partition India along religious lines. Thus under the provision of the Indian Independence Act, two separate nations, India and Pakistan were born. Nearly 15 million refugees crossed the borders on the two sides with Hindus and Sikhs moving from Pakistan to India and Muslims from India moving to Pakistan. Bloodshed and riots followed in the provinces of Punjab and Bengal. While India received most of the 562 scattered polities or princely states, Pakistan received the remaining western part and The muslim dominated eastern region which was known as East Pakistan now Bangladesh. August 15, Independence Day, is celebrated in a mood of abandon and joy - no rituals, just festivities. It is also a National holiday, with educational institutions, private and government organisations remaining closed, but for official celebrations in the morning. Schools and colleges mark the day with cultural activities, drills, flag hoisting and distribution of sweets. Government as well as private organisations celebrate it similarly. Families and friends get together for lunch or dinner, or for an outing. Housing colonies, cultural centres, clubs and societies hold entertainment programmes and competitions, usually based on the freedom theme. The Prime Minister sets the mood by hoisting the national flag and addressing the nation from the Red Fort, the historical monument in Delhi. This is accompanied by a march-past of the armed and police forces. Similar ceremonies are held in all the state capitals. The Prime Minister's address and the march-past are relayed live on national television. In cities, one sees a sudden burst of saffron, green and white, the Indian tri-colour. The media goes to town with a variety of contests, promotions and programmes related to Indian independence. Television channels show patriotic movies and relentlessly play patriotic songs from old and new Hindi movies. Billboards on roadsides for different brands pay their tribute to the nation. Everyone seems to have something going for them. Shops and petty tradesmen sell a range of Independence Day merchandise such as flags, stickers, tee-shirts and greeting cards. Street urchins hawk paper and plastic flags and tri-coloured balloons to motorists at traffic signals. Though a trifle commercial and jingoistic, what lies beneath the celebrations is the national spirit of gaiety, pride and hope for a better future. A spirit and hope that is renewed each year. On the morning of August 15, the Prime Minister addresses the nation from the ramparts of the Red Fort in Delhi. In his speech, he highlights the achievements of the country during the past year and gives a call for further development. He also pays tribute to leaders of the freedom struggle. Independence Day should not merely become a part of our holiday list. There should be serious efforts in educating the future generations about the struggles which the freedom fighters underwent to give us the freedom that we enjoy today. There has to be a concerned effort by everyone to make available the lives and teachings of the sons of the soil, who sacrificed their all, so that we could enjoy the freedom. India will complete 62 years of independence from the colonial rule in the year 2010. "Bhagwa or the saffron colour denotes renunciation of disinterestedness. Our leaders must be indifferent to material gains and dedicate themselves to their work." "The white in the centre is light, the path of truth to guide our conduct." "The green shows our relation to soil, our relation to the plant life here on which all other life depends." "The Ashoka Wheel in the centre of the white is the wheel of the law of dharma. Truth or satya, dharma or virtue ought to be the controlling principles of those who work under this flag. Again, the wheel denotes motion. There is death in stagnation. There is life in movement. India should no more resist change, it must move and go forward. The wheel represents the dynamism of a peaceful change." On 15 August 1947 India and Pakistan were created. India adopted the tricolour of orange, white, and green with a blue Ashoka Chakra at the centre. 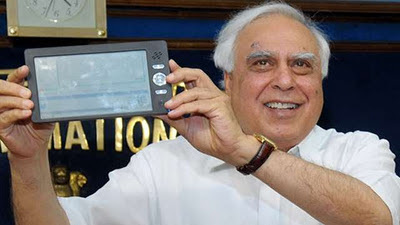 Unofficially this tricolour had been the flag of the Indian National Congress. The orange colour represented Hinduism, the green colour - Islam and the white colour represented peace. There was a blue spinning wheel in the centre, which represented Gandhiji's call for economic self-sufficiency through hand spinning. This special day revives in us the nationalist spirit. There are celebrations all over the country. We listen to patriotic songs, and there are assemblies all over to salute the national flag. People watch the colourful march-past of the local police or the military forces. In educational institutions, the march-past is usually done by students and the national Cadet Corps (NCC) cadets. Sweets are distributed and free movie shows featuring Nationalistic and Patrotic movies are shown. There is a tradition of flying kites on the Independence Day. The sky is dotted with hundreds of colourful kites and people engage in kite-flying competitions. Kites painted with the three colours of The National Flag are a hot favourite. Balconies and roof-tops of houses are full of people flying kites and one can hear cheerful shouts of children in the evening as the kites soar in the sky. Independence Day is a national holiday and the television channels treat their audience with patriotic films and songs. Cultural programmes featuring classical Music And Dance performances by top artistes are organised at several places. Television Channels provide a Live Coverage on the occasion and Radio Channels give the live commentary for the general masses. Independence Day, August 15, commemorates the day in 1947 when India achieved freedom from British rule. It is celebrated with flag hoisting ceremonies and cultural programs in the state capitals. The Prime Minister's speech at the Red Fort in Delhi is the major highlight. All Government Organisations have a holiday as 15th August is a National holiday. In the capital New Delhi most of the Government Offices are lit up. In all the cities around the country the Flag Hoisting Ceremony is done by politicians belonging to that constituency. In various private organisations the Flag Hoisting Ceremony is carried out by a Senior officer of that organisation. On Television, various Independence related programs are telecasted, reminding us of the hard times faced by the freedom fighters. In almost all the schools and colleges around the country, no academic work in done on this day, but all the students and staff members are present on this day and there is a sort of gathering of the entire school/college within their respective premises and the flag hoisting ceremony takes place, (usually in the presence of the principal) and singing of the National Anthem. After this there are various cultural activities held in the school / college and the celebration continues till late evening. One of the common activities performed during Independence Day celebrations is the recitation of National Pledge in a fixed specific manner. The National Pledge is recited in a loud voice in unison by standing straight and stretching right hand forward. Many Indian schools include national pledge as a part of daily morning assemblies and essentially also included in the observance ceremonies forIndependence Day and Republic Day. I am proud of its rich and varied heritage. I shall give my parents, teachers and all elders, respect, and treat everyone with courtesy. Bankim Chandra Chatterjee composed the national song of India with a title “vande Matram”. The national song was first sung by Rabindranath tagore by setting heart touching glorious tone to it. The song was first sung at the session of the Indian National Congress in 1896.Shri Aurobindo translated the national song into the English version which is considered as official and best as per Bhavan's book, Vande Mataram by Moni Bagchee. Please Post Your Valuable Feedback's And Feeling's Through Comments...! And I Once Again Wish You A "Happy Independence Day"
The Indian rupee has got its own unique symbol, joining the dollar $, pound £sterling, euro E and the yen as international currencies with an identity that is instantly recognizable worldwide.The Union Cabinet decided on the symbol for Indian Rupee, a privilege (unique identity) available only to major currencies like dollar, euro, pound, sterling and yen. 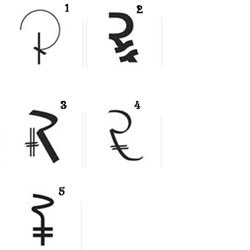 For getting this symbol On 5th March, 2009 the Indian Government announced a contest for a New Symbol for Indian Rupee with a prize of Rs 2.5 lakh for the winner and 25,000 for the top 5 shortlisted designs and Jury has shortlisted 5 designs.Below are some of these designs. 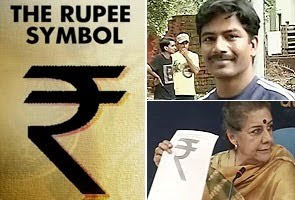 Among those designs one has been selected by the Cabinet today (July 15th, 2010) which will be the Official Indian Rupee Symbol and was submitted by an IIT post-graduate D Udaya Kumar. Congratulation, Mr D Uday Kumar for giving us such a simple and innovative symbol for Indian Rupee to fixed its position in International markets. 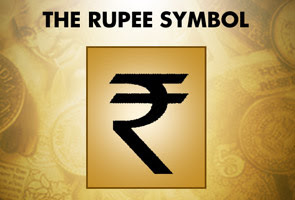 Now India also can use its own currency symbol for all international activities in financial markets. It is the answer to all the strong currency symbol in world available to know that the status of Indian currency symbol in international financial market. So now we can give the Indian Rupee a new face in International financial market. It is the combination of Indian Devenagari Script and Roman Script as well with the view of Indian Flag in arithmetic way. That will give us to represent our script and culture in world level. The symbol will be printed or embossed on currency notes or coins. The symbol will feature on computer key boards and softwares so that it can be printed and displayed in electronic and print. The new symbol is a blend of the Devanagari ‘र’ and the Roman capital ‘R’ without the stem. The parallel lines at the top(with white space between them) make an allusion to the tricolor Indian flag.With this the rupee will be the fifth currency in the world after the US dollar, the UK pound, the euro and the Japanese yen to have its own symbol.The Indian government will try to adopt the symbol within six months in the country and globally within 18 to 24 months.